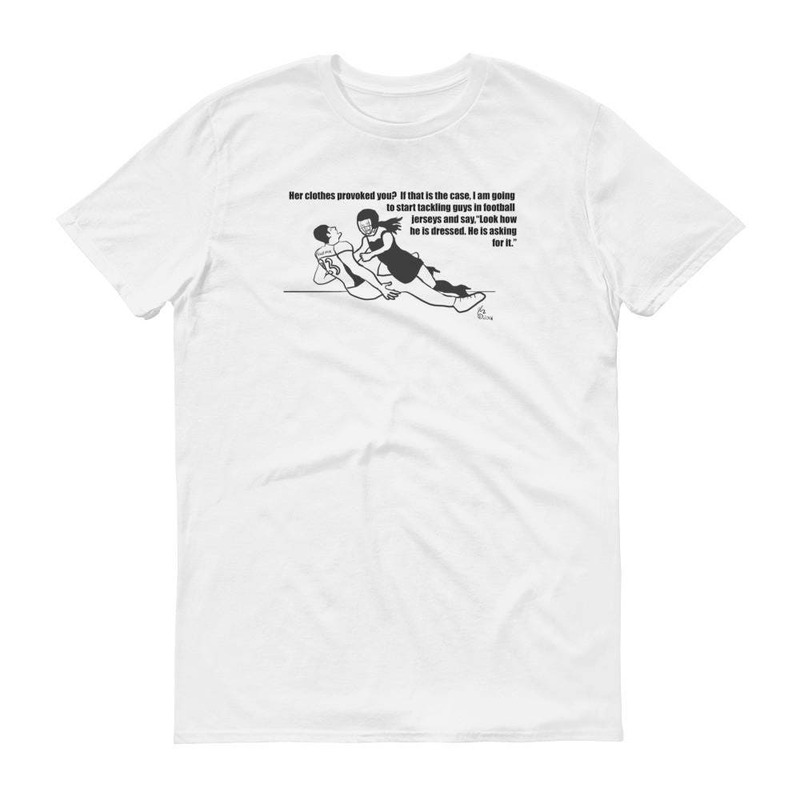 This shirt is a humorous jab at a not-so-humorous double standard that is prevalent in mainstream society against women and how they dress. 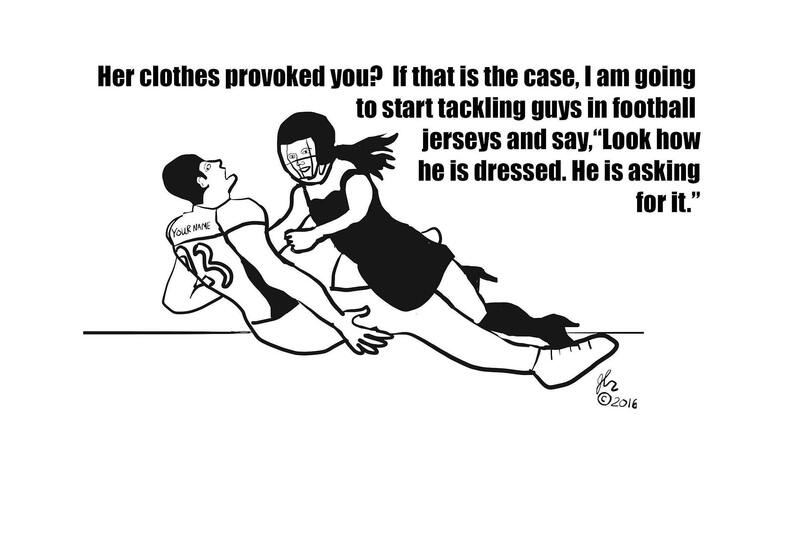 The illustration is of a guy in a football jersey being tackled by a woman - little black dress, boots with heels, and wearing a football helmet. The shirt reads, "Her clothes provoked you? If that is the case, I am going to start tackling guys in football jerseys and say, "Look how he is dressed. He is asking for it." Paypal and direct checkout only please. I usually prefer payment right after purchase so I can ship out your purchase as soon as possible. If I don't receive payment for your purchase after a week without any communication - I will cancel your order. Each item is made to order so please allow for up to 8 business days for your purchase to ship. Each shirt is made to order so I don't accept returns, exchanges, or cancellations. The only exception is if I make a mistake on the order. If that happens, please contact me and I will correct the error. Please make sure your shipping address is correct at the time of purchase. Once an order is purchased, the production process starts immediately and I am unable to change the shipping address. If you have any questions or concerns, please contact me before making your purchase. If you have any additional questions, please feel free to get in touch! The worse that could happen is I might send cat videos. Thanks for your support! © 2019 Breathe. Resist. Distro - Punk Shirts and Gear.